We are very proud of our recent grad Robin Thomas. 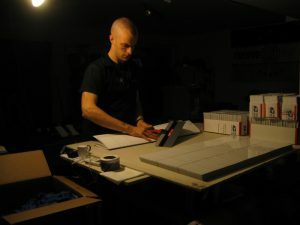 He invented the Noteboard, sold thousands of them, had it go viral, was written about in a wealth of popular web sources: HuffingtonPost, Techcrunch, Forbes and other major media sources. He has since sold this fledgling business to afford him the ability to retire, (or rest, or think, or cogitate, or explore) for at least a little while. It’s all been a whirlwind of activity. In the midst of this hugely successful and frenetic period he took the time to take our 40 hour bartending course. He loved it. He graduated. He mixed, shook, and stirred with a fervor and dedication. He graduated from our program even as he decided to leave another prestigious school of higher education, Stanford University. Two esteemed schools of higher learning. 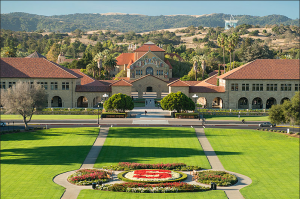 Here is there campus. And now he is another example of a unique inventive world of major inventors. Bill Gates and Steve Jobs both quit college and they developed fairly well known businesses, Microsoft and Apple. Is Robin Thomas next in line for such fame and fortune? Congrats, Robin!!!! But can you bartend???? Since he finished our classes in early February, 2013 he has managed to dramatically increase sales of the Noteboard and sell his business to a larger enterprise. He is a success. But he still hasn’t bartended in a real paying gig. Not a party, not a bar, not an event, not a restaurant nor a club, or a catered event. So many high paying, fast moving opportunities behind the rail…and Robin decided to forego all of them to develop a successful business, build it into a thriving enterprise, and then cash out with a big (or relatively big payout). Now he is living the life of Riley. What a man. Robin has yet to cash in on his well honed bartending skills. Robin reports he makes killer drinks for his friends and they love them. (I bet he is hugely popular with this rare skill) But nobody has tipped him a buck for the rarified skills he developed at our school. Would you hire Robin to bartend? You should. He is an inventive writer, a musician, at a young age he has a wealth of experiences, and he is already a successful entrepreneur….and because of that he has time on his hands to shake em and stir em and mix you a wide variety of tasty cocktails (at least his friends think they are tasty). If you want this exclusive talent to bartend at your event call us. 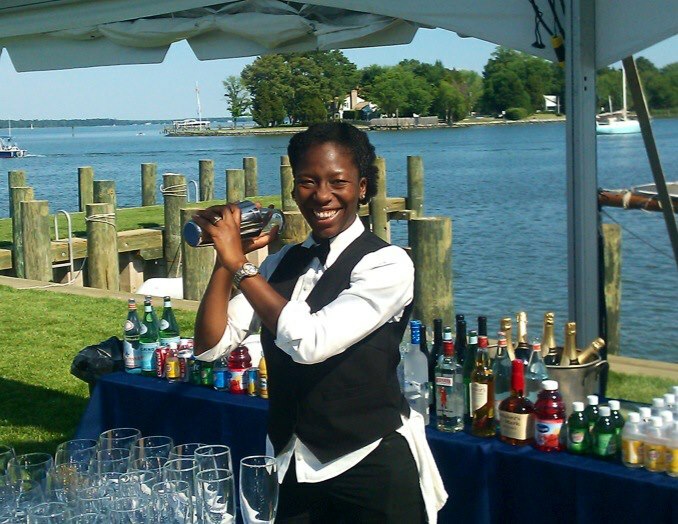 We provide bartenders to parties and for full and part-time employment. For all those enterprising Washingtonians you would get the treat of being served cocktails by the Gutenberg of modern communications, a rare treat indeed. BTW: This week Robin announced in Reddit that he sold The Noteboard. He’s been busy responding to Redditers and contemplating his next move. We think bartending should be in his future!!! !